Glaciers are a destructive force, moving slowly across landscapes, reshaping them as they go. Over three-quarters of Earth's fresh water is locked in frozen reservoirs, known as glaciers. Glaciers are rivers of ice, which reshape the land. Glacial ice floes erode, transport and deposit rock - producing jagged rock surfaces and striations. Rocks are slowly worn away by a process called freeze-thaw weathering. 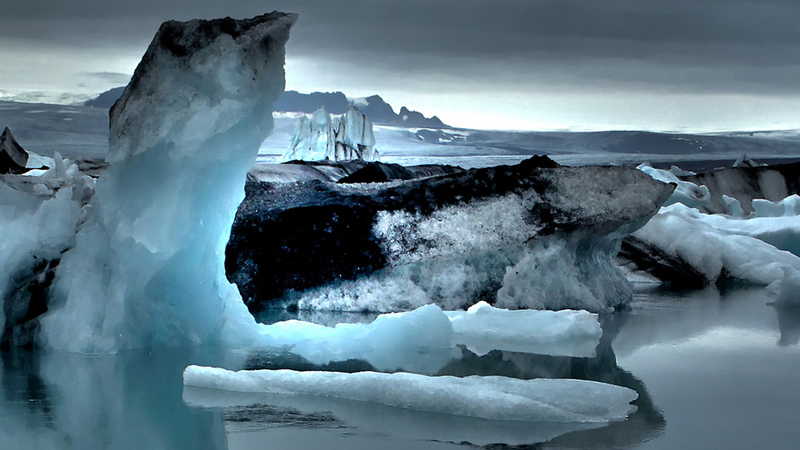 Glaciers, rivers of ice, are found on all Earth's continents. Even here in Africa, high on Mount Kilimanjaro. And in Antarctica, the glacial ice is so thick that only the highest mountains poke through. In fact, over three quarters of our world's fresh water is locked up in these frozen reservoirs.